Until September 2018, Emerald Princess will be cruising the icy straits and passages of Alaska from Seattle. From May to October of 2019, Emerald Princess will be instead migrating to discover the exotic and historic world of the Mediterranean. 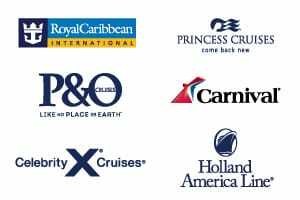 Cruising from Barcelona, Rome or Athens, pick from seven night getaways, 11 to 14 night Mediterranean escapes, or 21 night immersions. Emerald Princess also has some really interesting Pacific itineraries. Discover the tropical Hawaiian Islands over 15 nights or cruise deeper into the Pacific to discover French Polynesia and Samoa. Or, over the cooler months of December to March 2019/20, cruise the Panama Canal on a bucket-list worthy itinerary. 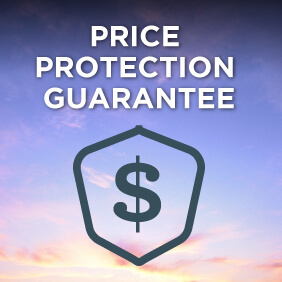 View all Emerald Princess cruises, view a selection of Princess cruise deals, or view more options for Princess cruises. Your adventure begins the moment you step aboard. With nearly 900 staterooms with balconies, you’ll awaken each day to a new horizon. Experience the relaxed ambience onboard and tantalizing cuisine in our elegant dining rooms. Enrich yourself with Discovery at SEA programs and unwind at the The Sanctuary, a tranquil haven reserved for adults. It’s the “Best Pizza at Sea” says USA TODAY and we couldn’t agree more. Harkening back to our Italian heritage, our Neapolitan-style pizza is hand-tossed and freshly baked right on deck. From traditional favorites like margherita and pepperoni to the daily specials, you’ll find it nearly impossible to pass by without grabbing a slice – or two. Craving a frosty treat? Head on deck for a complimentary, classic, soft-serve chocolate, vanilla or swirl ice cream in a cone or cup – the perfect way to cool down! Feeling decadent? You can purchase a variety of sundaes with a tantalizing assortment of toppings! Dining on board a Princess cruise ship is a joyful celebration and our specialty restaurants always deliver an extraordinary experience. They are among the best at sea – or anywhere. We serve dishes made with the freshest ingredients, and our menus reflect regional flavors from around the world. You’ll find our specialty restaurants are the perfect place to celebrate any occasion. 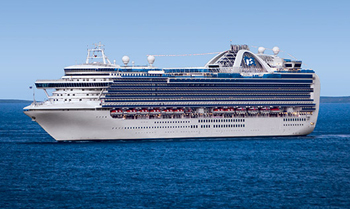 Emerald Princess includes many innovations, that define the Princess experience. Five pools – including a swim-against-the-current lap pool. All pools are fresh-water. Our exclusive partnership with Discovery Communications lets you come back captivated with Stargazing on our top deck; activities featuring DiscoveryTM hit shows such as Shark Week and Finding Bigfoot; plus our new Encounters with Discovery at SEA speaker series. Get more out of your travels with shore excursions recommended by two of the most trusted names in world travel-Discovery and Animal Planet. Our Platinum Studio specializes in premium black and white portraits. Skilled photographers using expert lighting techniques will create a suite of stunning photographs that truly capture the essence of its subject. After your purchase, the portraits are professionally printed and mounted at a custom photo lab on premium quality paper. Then, they’re artfully packaged and delivered to your home after your cruise. Imagine playing on the green while surrounded by a beautiful blue ocean. Whether you’re a dabbler or a devoted disciple of the game, our nine-hole miniature putting course will put your finer golfing skills to the test. After you play a round, step inside to try your hand at our golf simulator, which recreates some of the world’s greatest golf courses like St. Andrews and Pebble Beach so you can play and practice like a pro. Afternoon tea is a treasured tradition whether it’s a special occasion, an intimate moment for two, a mother-daughter tea party or just quiet time for reflection. Enjoy a wide selection of teas, or coffee if you prefer, served by white-gloved waiters in formal attire. The setting is an elegant dining room, with tables crowned with sparkling samovars and a delicious array of tasty treats: freshly prepared finger sandwiches, cookies and cakes.